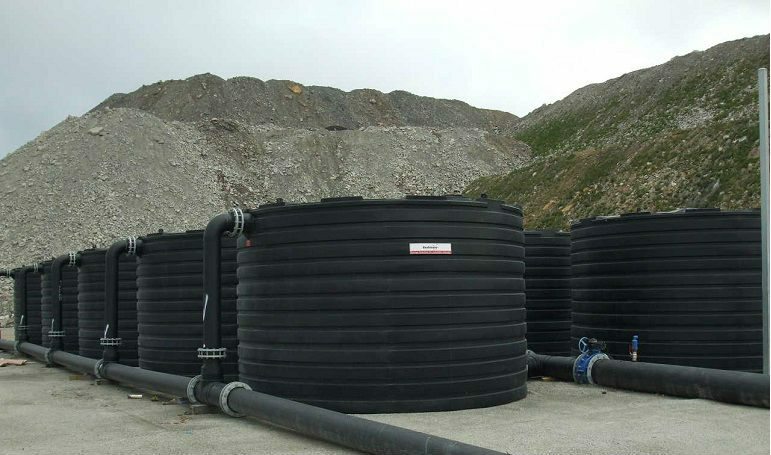 With strict regulations in place on Australia’s mining and resources sites, slip ups in chemical and water storage are not an option. Bushmans have introduced new SUNTOUGH tanks, highest quality tanks – built stronger. The proper storage of liquids is a top priority on any mine site, when it comes to safety and protecting the environment. Whether it’s for reliable water treatment, the storage of dangerous chemicals or water storage for use around the site’s facilities, companies are no longer taking any risks – they are making sure that the right tank, the necessary fittings and accessories are in place. With each mine site being unique, it follows that so too are the tank and storage requirements – this is where you need the experts on hand. Bushmans Industrial has extensive knowledge in the mining and resources sector and understands the long term merits of proper storage solutions. The Bushmans approach is simple; work closely with the engineers who are designing and building the project to ensure every angle is covered and the right tank is placed on site. The key to a successful installation is the site specific analysis of the location and operational requirements. Inappropriate design could lead to the increased risk to the operations. In cases where unsuitable tanks are installed, costs associated with any damage caused as a result will be significantly high. If an inappropriate tank is used for storing chemicals or contaminated water then there may be a heightened risk of a spill, having serious consequences on the environment.